Miami, FL- Zafco International announced that tire industry veteran Chris Tolbert has joined its North American Team as Vice President of Sales in the East Zone. Chris will work with the sales team to build the iconic Armstrong brand in the PCR, LTR & TBR segments, as well as grow the Accelera, Forceum & Zeetex brands in the US & Canada. “It’s a great opportunity to help build a multi-brand strategy at ZAFCO and bring back a quintessential American brand that once had a strong and loyal distributor and customer base. Armstrong is a name that is well-recognized, not to mention the added value of having a cool mascot like Tuffy the Rhino,” says Chris. Chris Tolbert has spent 30+ years in the tire industry. 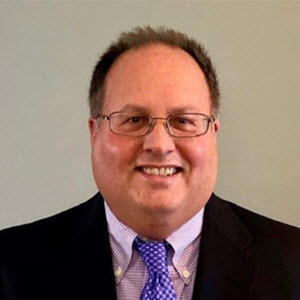 Prior to joining ZAFCO, he was Director of Business Development Automotive at American Kenda Rubber, Senior Sales Director at Nexen Tire America and had held sales positions at GiTi Tire, Tire Centers and Ziegler Tire. Based in Miami, Florida, ZAFCO International is a leading manufacturer and distributor of automotive tires serving wholesalers and retailers across the Americas. ZAFCO International’s house brands of tires include Armstrong, Zeetex, Accelera and Forceum. © 2019 ZAFCO International. All rights reserved.